In Christianity, God is the eternal being who created and preserves all things. Christians believe God to be both transcendent (wholly independent of, and removed from, the material universe) and immanent (involved in the world). Christian teachings of the immanence and involvement of God and his love for humanity exclude the belief that God is of the same substance as the created universe but accept that God's divine Nature was hypostatically united to human nature in the person of Jesus Christ, in an event known as the Incarnation. 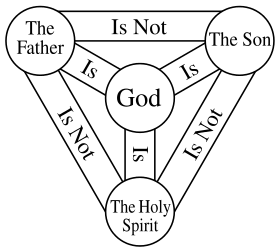 Although the New Testament does not have a formal doctrine of the Trinity as such, it does repeatedly speak of the Father, the Son, and the Holy Spirit in such a way as to "compel a trinitarian understanding of God." This never becomes a tritheism, i.e. this does not imply three Gods. 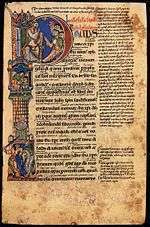 Around the year 200, Tertullian formulated a version of the doctrine of the Trinity which clearly affirmed the divinity of Jesus and came close to the later definitive form produced by the Ecumenical Council of 381. The doctrine of the Trinity can be summed up as: "The One God exists in Three Persons and One Substance, as God the Father, God the Son and God the Holy Spirit." 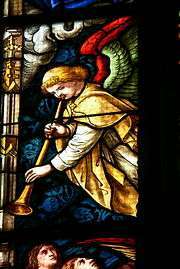 Trinitarians, who form the large majority of Christians, hold it as a core tenet of their faith. 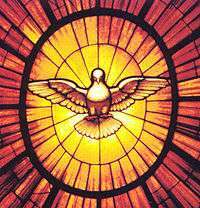 Nontrinitarian denominations define the Father, the Son, and the Holy Spirit in a number of different ways. The Bible usually uses the name of God in the singular (e.g., Ex. 20:7 or Ps. 8:1), generally using the terms in a very general sense rather than referring to any special designation of God. However, general references to the name of God may branch to other special forms which express his multifaceted attributes. Scripture presents many references to the names for God, but the key names in the Old Testament are: God the High and Exalted One, El-Shaddai and Jehovah. In the New Testament Theos, Kyrios and Pater (πατήρ i.e., Father in Greek) are the essential names. Interpretations of the term Kingdom of God have given rise to wide ranging eschatological debates among scholars with diverging views, yet no consensus has emerged among scholars. 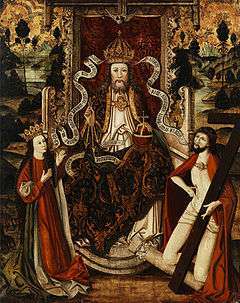 From Augustine to the Protestant Reformation the arrival of the Kingdom had been identified with the formation of the Christian Church, but this view was later abandoned and by the beginning of the 20th century the apocalyptic interpretation of the Kingdom had gained ground. In this view (also called the "consistent eschatology") the Kingdom of God did not start in the 1st century, but is a future apocalyptic event that is yet to take place. 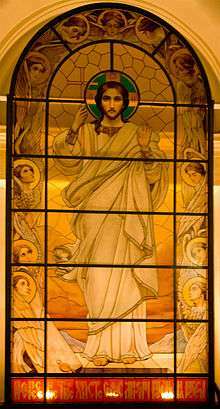 In Eastern Orthodox theology, essence of God being that which is beyond human comprehension and can not be defined and or approached by human understanding. 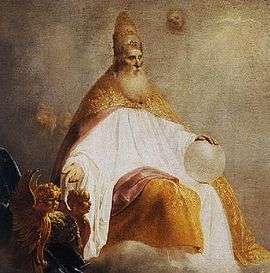 Roman Catholic teachings are somewhat similar in considering the mysteries of the Trinity as being beyond human reason. However, differences exist in that in Roman Catholic theology and teaching, God the Father is the eternal source of the Son (begot the Son by an eternal generation) and of the Holy Spirit (by an eternal procession from the Father and the Son) and the one who breathes the Holy Spirit with and through the Son, but the Eastern Orthodox consider the Spirit to proceed from the Father alone. ↑ "TRINITY". Jewish Encyclopedia. JewishEncyclopedia.com. Retrieved 22 August 2013. ↑ Peter Stockmeier in the Encyclopedia of Theology: A Concise Sacramentum Mundi edited by Karl Rahner ISBN 0860120066 (New York: Seabury Press, 1975) page 375-376 "In the following period, c. 180-313, these structures already determine essentially the image of the Church which claims a universal mission in the Roman Empire. It has rightly been termed the period of the Great Church, in view of its numerical growth, its constitutional development and its intense theological activity." ↑ David Ray Griffin, God, Power, and Evil: a Process Theodicy (Westminster, 1976/2004), 31. ↑ Donald Macleod, Behold Your God (Christian Focus Publications, 1995), 20-21. 1 2 Oxford Dictionary of the Christian Church (1974), Cross & Livingstone (eds), art "Trinity, Doctrine of"
1 2 Millard J. Erickson (1992). Introducing Christian Doctrine. Baker Book House. pp. 265–270. ↑ T C Hammond (1968). Wright, David F, ed. In Understanding be Men: A Handbook of Christian Doctrine (sixth ed.). Inter-Varsity Press. p. 134. ↑ Dahl, Paul E. (1992). "Godhead". In Ludlow, Daniel H. Encyclopedia of Mormonism. New York: Macmillan Publishing. pp. 552–53. ISBN 0-02-879602-0. OCLC 24502140. .